Making a name for yourself in the Course Architecture is often about spending extensive apprentice time with crack designers who have made names for themselves before you. Kyle Franz has taken this route and is well on his way to the top of the “next best” category of designers under 40. Franz found his first job with Tom Doak when he begged him for a position at age 19 on the team doing Pacific Dunes at Bandon Dunes. He went on to work with Doak at Barnbougle Dunes in Tasmania, Coore and Crenshaw in their restoration of Pinehurst #2, Kyle Phillips at the Cal Club, and, most recently, with Gil Hanse and Jim Wagner on the Olympic Course in Rio. As you can read in this fascinating interview with GolfClubAtlas, Franz brought to these experiences an exuberance of youth, an adhesive mind, and a creative imagination. Being around these designers he soaked in their appreciation of the work of admired designers from the Golden Age of Design like Ross, Raynor, MacDonald, Tillinghast, Mackenzie, and others. He also made sure to do the extra curricular study time of these great designers and their work that related to the projects he was working on. His big break came while working on the Pinehurst #2 restoration when he had a chance meeting at a cocktail party with Kelly Miller the president of the Pine Needles and Mid Pines Resort in Pinehurst. The owners of this storied old place were contemplating a restoration of their vintage Donald Ross course and what they saw the Coore and Crenshaw team do at #2 was in the front of their mind. Franz had done extensive research of Ross’s work at Mid Pines at the Tufts Archives while working on the Pinehurst #2 project so he brought an impressive understanding of the original Ross design and had a plan in his head on how to restore it to the original Ross ideals. Taking a flyer on a young mind with big dreams they hired Franz to do the restoration of Mid Pines and what resulted was a win-win situation for both of them. Franz delivered a fabulous return of Mid Pines to it’s full glory. As you can read in the interview his thought processes during this renovation were ambitious and creative. His use of materials and resources already on the grounds allowed him to complete all the work for under $1 million dollars to the owner’s delight. The most interesting part of the conversation are his revelations of the work he did with Gil Hanse and Jim Wagner in creating the course in Rio for the 2016 Olympics. Still fresh in our minds from the Olympic competitions this summer, Franz gives real insight into what they had in mind and what they accomplished with this new offering. His references to holes at North Berwick, The Old Course, and Royal Melbourne indicate the source of many design concepts were from the classic links and sand belt courses of the British Isles and Australia. Franz has since brought his talents to bear on a number of other prestigious re-do’s of classic courses that have come his way. Working on restorations of places like Pine Needles for Miller, Seth Raynor’s Country Club of Charleston, and, maybe the most intriguing of them all, a restoration of the old Wood’s Hole Golf Course in Cape Code, he has fast established himself for the right opportunity to build his first Franz creation from scratch. After reading this interview I think you will come to the same conclusion. When the head honchos of Pinehurst called on Bill Coore and Ben Crenshaw in 2008 to consider restoring the famed Pinehurst #2 to it’s original Donald Ross character they had to feel like Mr. Peabody and Sherman cranking up the old Jay Ward Wayback Machine. Coore and Crenshaw (C & C) were the obvious choice for this task because of their success with sand based terrain in Nebraska and Oregon and their reputation for copious attention to architectural detail of the classic golf courses. With the USGA’s Mike Davis enthusiastic in supporting this change it added to the pressure that it would need to be done in time to showcase #2 for unprecedented back-to-back appearances of the men’s and women’s U.S. Open Championships at Pinehurst in June of 2014. From it’s introduction in 1907 Pinehurst #2 was Donald Ross’s obsession. He spent the next 35 years tinkering with a flat piece of North Carolina sand hills terrain turning it into one of the most captivating strategic golf challenges in the states. It built it’s reputation through the 30’s, 40’s, and 50’s hosting some of the most important annual professional and amateur events and national championships in the game of golf. Ross’s architectural principles were pretty simple-use the sandy base to create a wide open hard and fast running layout with interesting twists and curves into accessible small convex green arrangements made up of sharp falloffs, grassy hollows, and bunkers. In the original design there was virtually no rough just wide fairways between the tree lines and primitive adjacent landscape full of sand, scrub brush, and wiry vegetation. This put a premium on making the right positioning decisions off the tee for the day’s flag position. Executing precise approach shots into these mounded green complexes would be the key and being able to play creative recovery shots when they were rejected would be equally important. This style of design lent itself to flexibility in strategic approach and enjoyment of the game by players of wide ranging golf aptitudes. 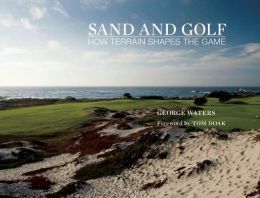 As George Waters says in his book “Sand and Golf-How Terrain Shapes The Game”, “Too many golf courses focus on separating a good shot from a bad one. The real goal should be to separate a good shot from a great one, while allowing the bad shots to eventually find their way home”. Pinehurst #2 was always a championship caliber course playable by every man. Time and taste in golf course design changed all of that and the owners of Pinehurst #2 let it morph over decades into a Bermuda grass laden array of 18 lush green bowling alleys between the pine trees. It lost the unique rugged look and strategic character that Ross had envisioned. Worse, the holes meandered off the original strategic lines that Ross had created. By the end of 2008 the groundswell of criticism got to the owners and C & C were brought in to rediscover and reveal the original Donald Ross intent. They were given a Carte Blanche to do whatever they felt need to happen to bring #2 back to it’s original glory. For the most iconic golf resort in the U.S. this was not without great risk since the American golfer’s appetite for the lush Augusta Green look had not abated. C & C started the work in 2009 and two very fortunate things happened early in the process. First, Bob Farren, Pinehurst’s director of course maintenance, told Coore that the original center fairway irrigation line installed 80 years ago and long since abandoned was still in the ground. Revealing that line and an associate 30 yards on either side of it gave them the original fairway borders to work with. They now had an accurate skeleton of the original design. Second, Craig Disher, a Pinehurst resident who knew spent much of his retirement years studying course design, revealed a cache of low-level aerial photos taken by the War Department in 1943 which would provide them with the blueprints they would need of original green sizes, fairway lines, and shapes of bunkers. These photos proved invaluable during restoration in understanding and implementing the original design and intent. Over the next four years the C & C operatives marshaled the stripping of over 35 to 40 acres of lush green Bermuda rough grass and the reintroduction of the natural sand and scrub off fairway areas of Ross’s day. The replacement of this rough with sparse native planting created natural looking inconsistent rough areas with a perfect balance of penalty and recovery available. Pros and schlubs alike meandering off the fairways would be presented with a new set of strategic decisions to make off of unpredictable lies. As Waters says, “On well designed sandy courses, the interplay between firm conditions and clever architecture places approach and recover shots among the highlights of any round”. The added bonus was the restored #2 had 700 less sprinkler heads and needed 40 percent less irrigation to maintain it’s firm and fast playability. The routing of the course did not change so the basic 70 par and strategic approach to playing is in tact. Mike Davis of the USGA did prevail on C & C to flip the par on the 4th and 5th holes. The 5th was the hardest par 4 on the course and with a new tee lengthening the yardage into the high 500’s it will now be the hardest par 5 on the course. The main difference is that the 6 or 7 some of the players would have made on the hole anyway will seem less of a self-esteem issue. The 4th had the tee relocated to the original Ross location further to the left. It now will be a seriously long wrap around dogleg left par 4 where a pitch and a putt may be needed to save par. With the two U.S. Open Championships now at hand it will be up to the professionals to give the renewed Pinehurst #2 their blessings as an appropriate venue for competitive golf at it’s highest level. It will remain for the owners to convince the green’s fee paying public that brown is the new green. Then this entire experiment might turn out to be, pardon the Jay Ward pun, a watershed moment in the time-line of American golf course design. When Bobby Jones contracted Alister MacKenzie to design and build the course at Augusta National he had in mind two courses not one. The land proved insufficient for two full length courses so Jones suggested a short Approach and Putt Course instead for the second layout. As Josh Pettit revealed in a Golf World article on April 7, 2014, the plans for this unique layout were found recently in the archives of the Fredrick Law Olmsted landscape architecture firm from Brookline, Massachussetts. 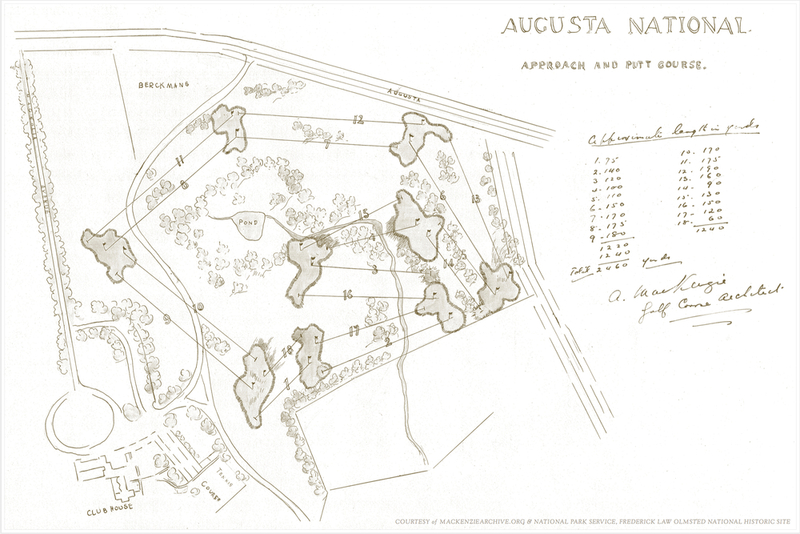 This was the only copy of the original plans for the Augusta National Approach and Putt Course MacKenzie designed in 1932. The course was never built because of the dire economic times of the 1930’s. What makes this concept so unique is that this was to be done with nine double greens to serve the 18 holes. This same idea had been proffered by MacKenzie for a proposed private course in Argentina in 1930 called El Boqueuron “The Lost Mackenzie”. While in his creative prime, the beginning of The Great Depression sent MacKenzie global in search of new work. In spite of economic hard times in Argentina the very wealthy elite asked him to design two courses at The Jockey Club in Buenos Aires. While he was there he met with a wealthy land baron and proposed an 18-hole course on his private estate with nine double greens. The Approach and Putt Course greens were to be from 7,500 to almost 15,000 square feet and set on opposing angles to two different tee approaches. No bunkers on the course, just a meandering brook that cuts across six holes on the course. Jones wanted a friendly practice facility that was “intended for enjoyment rather than frustration”. These were to be sprawling MacKenzie green complexes that would provide many memorable moments for those enjoying a short afternoon stroll with a few clubs. Take ten minutes and read this marvelous article on the Jones/MacKenzie collaboration at Augusta which focuses on the concept and design of this Approach and Putt Course as it appeared on the MacKenzieArchive.org website through the link below. It is hard to imagine how Augusta National could have been more special but this would have addedanother unique aspect to this golf treasure. While at the PGA Show a few years ago I had the pleasure of spending some time talking to Larry Lambrecht the renowned golf photographer about his work shooting stunning golf landscapes all over the world. I asked him what is the next must visit golf destination that no one currently talks about. Without hesitation he replied “The links courses of the Netherlands”. Have to admit I was astounded by that answer since I had never heard mention of any golf courses in the Netherlands. It is three years later and I finally stumbled on something to back up Larry’s assertion, a couple of pieces on the Golf Club Atlas website about Kennemer Golf and Country Club, site of this year’s KLM Open, and Royal Hague a three-shot par five from Amsterdam. I have to say it makes me feel like wooden shoes with Soft Spikes are in my future. The Netherlands sits due east of Britain, just across the North Sea. Despite the fact that 20% of the country is below sea level, the Netherlands has an abundance of dunes land stretching the length of it’s western shoreline. In many areas the dune band is as much as 3 to 5 kilometers wide, far wider than the dune bands of eastern Scotland, and they are replete with the full variety of characteristics-big dunes, sandy soil, seaside flora and the like-needed for fine links golf courses. Back in the Golden Age of Course Architecture Harry Colt, one of the prominent British architects of the time, ventured across the sea to build the first links course in the Netherlands at Kennemer in the mid 1920’s. He built the bulk of his unique courses in the Netherlands by the end of the decade. But his firm, Colt, Alison, and Morrison, was contracted in 1937 by Daniel Wolf a wealthy businessman to build an eighteen hole course on the other side of the ridge from Wolf’s estate about 25 kilometers from Amsterdam. Having worked with closely with Colt over the years they followed his script of clever strategic routing and minimalist designer intrusion. There are only 18 bunkers on the entire course and a set of ingeneous green complexes many of which have crowned greens that will only honor the purest struck approach shot. They let the lands speak for itself and the result was a links course with grand vistas and strategic shot lines that require full concentration. As you look at the vivid images in the attached Golf Club Atlas article you cannot help but be struck by the similarity of this look to what we see at Bandon Trails in Oregon. Given Crenshaw’s extensive study of the great designers I cannot believe he did not have The Hague in mind as they conjured their creation of Bandon Trails for Mike Keiser. The course has recently undergone a significant restoration under the able hands of Frank Pont a local architect who used original architectural documentation and photographs to bring the Alison and Morrison feature back into a course that had been victim of many renovation design compromises over the last 70 years. There is an extensive interview with Pont within this article if you want the nitty gritty on the latest work. Enjoy the attached article about The Hague. I think you will agree that your next trip to Amsterdam should include a diversion to take in one of the great links courses of Europe at Royal Hague. You see these lists of the 100 best courses in the world in golf periodicals all the time and you wonder about the qualifications of the guys making these choices. Well you won’t have to worry about it with this one since this list was assembled from a poll by GolfCourseArchitecture.net of the guys who actually build these things for a living. 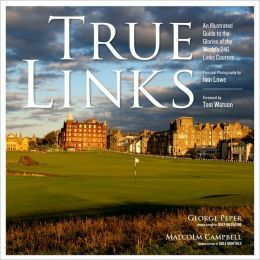 You will enjoy strolling through this list replete with luscious photos of the courses and glib commentary on what makes them special. Maybe you won’t agree with the ranking of some of your favorites but you will understand where they fit against the best of the best. And you may be surprised at some of the gems you did not expect to see in such company and maybe disappointed by a few that were left out. Plop yourself in a comfy chair with a tall cool one and enjoy this is a truly authoritative list of the 100 best in the world. It may just add a few more destinations to your personal bucket list.